If you’re looking for a stunning and unique engagement ring, a vintage or antique style might be a perfect choice. With options ranging from floral designs to cathedral settings, vintage engagement rings can be designed to fit the exact style of the one you love. Review our full guide below to learn more about vintage settings and what to know before you buy. Our most important recommendation for vintage engagement rings is to purchase one from a highly reputable vendor. 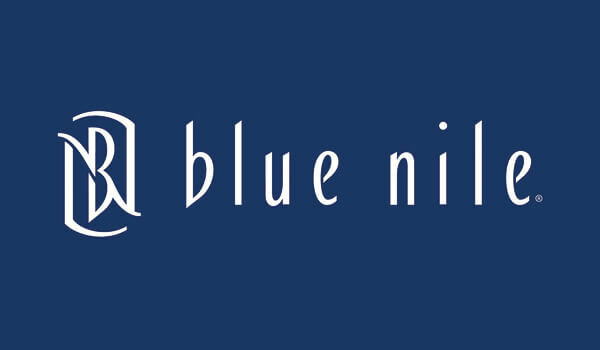 Recieve the quality and value you deserve by choosing Blue Nile, James Allen or Brian Gavin Diamonds. What is a Vintage or Antique Engagement Ring Setting? Vintage settings mirror the styles of the Edwardian, Victorian and Art Deco time periods. These antique styles often feature beautiful intricacies. Milgrain and filigree are two popular techniques used to create additional detail in the settings. Milgrain engraving is an embellishment that gives the ring an “antique” look—with tiny metal balls decorating the sides of the band and the crown of the ring. This infinity halo ring, for example, features milgrain around the edges of the halo. Filigree is another kind of delicate metalwork that features metal beads or twisted metal threads throughout the setting. The antique engagement ring below showcases an example of yellow gold filigree embellishments on the shank and around the bezel set diamond. Why Choose a Vintage Style Engagement Ring? Antique style engagement rings are eye-catching because of their unique design, intricate details and classic look. As a timeless piece of jewelry, a vintage engagement ring is well-cherished and often passed down for generations. 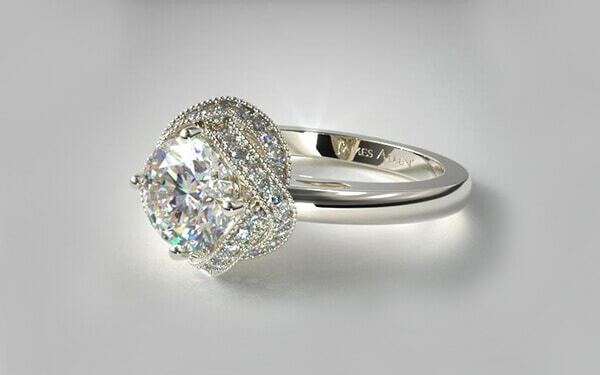 You can even personalize vintage engagement rings to fit the exact style and desires of the wearer. Simply put, they stand out from the crowd. From a gorgeous floral starburst to a fancy milgrain design, the options are truly endless. Antique rings can also be made with any precious metal: yellow gold, white gold, platinum or rose gold. You may be interested in purchasing an actual vintage ring—one that’s several decades old. While these can be unique and stunning rings with a special history, buying an older ring is a risky approach—and here’s why. First, actual antique rings rarely come with a legitimate certificate from the GIA or AGS, giving you no real validation as to the quality of the diamond. The seller may promise that it’s an Excellent Cut with G Color and VS2 Clarity, but they often have no way of proving it. Second, it’s challenging to understand the actual condition of the setting. Is it securely holding the diamond? Will it deteriorate over time? Again, without proof of the materials used and who made the ring, it’s nearly impossible to understand the quality you’re receiving. Third, when it comes to cost, an actual vintage ring may not give you the best value. Are you paying solely for the fact that it’s 40 years old? Are you paying for 18K gold when the setting is actually made of 14K gold? The uncertainties with an actual vintage ring are certainly real. That’s why we highly recommend purchasing a new vintage or antique style from a vendor you can trust. Many high-quality vendors offer stunning rings in these motifs, like this hexagon engagement ring and this white gold filigree ring. You can achieve the same beautiful, vintage look without the concerns of going with an actual antique. 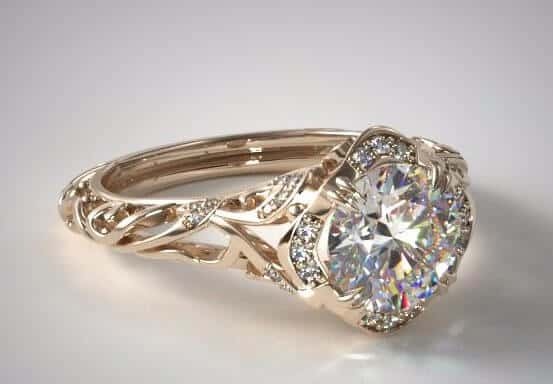 Because you’ll want to buy your antique or vintage style ring from a highly reputable vendor, choosing a jewelry company is of the utmost importance. Throughout our years in the diamond industry, we’ve closely vetted sellers to determine the best and most reliable in the business. The diamond dealers below are highly reputable. They offer extensive collections of beautiful diamonds and vintage style settings. All diamonds come with an AGS or GIA certificate—giving you confidence in what they’re selling you. If you have questions about these vendors, please don’t hesitate to contact us. A vintage style ring provides immense beauty and unique details. Before making your purchase, review the pros and cons to see if it’s the right option for you. Vintage style settings can be crafted for any Diamond Shape because of their classic design and ability to customize the setting. Popular diamond shapes for vintage rings include Round Brilliant, Princess Cut, Cushion Cut and Oval. Be sure to choose the most beautiful engagement ring for your budget. Review our Diamond Pro resources to help select the perfect ring for the one you love. Diamond Cut: While many mistake Cut for meaning the shape of the diamond, Cut refers to the quality of the diamond’s proportions, angles, facets and finishing details. Cut impacts a diamond’s beauty and sparkle more than any other aspect. Diamond Shape: Diamond Shape refers to the outline or form of the diamond. Diamond Shapes include the Pear, Round Brilliant, Princess Cut and Emerald Cut. Select your shape based on personal preference and style. Diamond Clarity: Your diamond should be eye clean of blemishes and inclusions. Review the diamond carefully and ask for the help of an expert. Diamond Color: Determine if the diamond looks white to the naked eye (i.e. there are no noticeable tints). Ensure, too, that the diamond appears colorless in relation to its setting. Send our experts an email with any questions on diamonds, rings or jewelry.